What is it about being trapped in a tonne chunk of steel that makes people act like anything but civilized beings? Is it just a bad day of the week, distracted driving, a personality trait linked to aggressive driving or just human nature? A whopping 66 % of traffic accidents are caused by road ragers! “Sell your car” is what we want to say to all those road “bullies”! We at Carswitch want to find out the main culprit behind road raging. We encounter road rage every day on the roads; speeding, changing lanes while cutting signals, meandering precariously across three or four lanes, road blocking, not allowing others to change lanes, roaring behind you as if they might hit you, tailgating, persistent honking, flashing sharp lights when you are in “their” lane, screaming from their cars, causing accidents, getting ready to fight and worse off to “beat up” other drivers. Road raging, or other behaviours that lead to ugly confrontations can have serious consequences. Mental health professionals cite some behaviours as problematic if left unchecked. And those behaviours include a desire to control and dominate. For road ragers, there is an uncontrollable need to stop other drivers from violating their lane. This need for superiority, bloated ego and one “upmanship” on the road makes one a well-rounded road rager and the perfect candidate to sell your car. For others, it’s ill-examined anger and aggression that they project onto their driving. For the most part, it is hormonally-driven, primitive and primal thinking combined with a lack of emotional intelligence and a dominating need to shun others from their private space. Studies have shown that a few rats in a confined place can co-exist peacefully, but add a few more and they will turn on each other. The same can be said of humans; gridlocks and traffic congestions can be the catalysts for road rage. Throw in stress, exhaustion and heat from other sources of your life and you have the perfect conditions for road rage. Other reasons why someone can have a “stay from this guy” or you better “sell your car” tag on their cars may be due to distracted driving, tailgating, heavy constructions or congested traffic. Unfortunately for science, there is no way to measure patience like there is for alcohol. There is no minimum amount of patience that one needs to have to be safe for other drivers on the road. Police officials can’t perform a roadside patience test or confiscate someone’s license unless they increase their patience levels. If you are someone who is prone to road rage, don’t retaliate to other drivers on the road regardless of whose fault is it. Practice safe driving tips and be mindful of traffic rules. If you are being tailgated, change your lane. In addition, playing soft music helps with road raging tendencies. 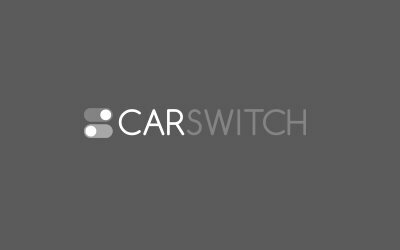 If you want to sell your car, for any reason other than being a compulsive road rager, you are welcome to visit CarSwitch.com for trouble-free car selling services! Did you know that, on average, it takes 60 days to sell a car? Not everyone. Ready to sell your car in the UAE? Think again! You might run into some bumps. Going to a dealer to trade in your old car to buy a new one in. Is Your Car’s Cooling System Sick? Here’s How You Can Find Out! Cars can run hot - that’s a fact. Any car that runs for some time does.